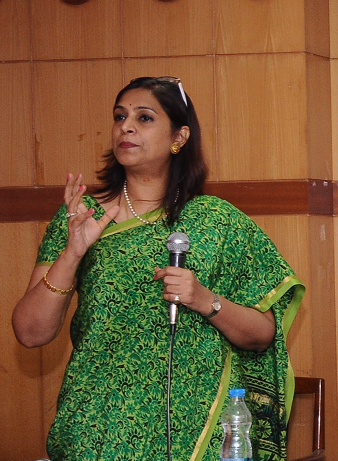 Addressing the members of Hindustan Chamber of Commerce in a program pertaining to World Environment Day in the city, Mrs. Shubha Sekhar, Director – CSR & Sustainability, Coca-Cola India & South West Asia said “Environmental sustainability” is more directly focused on the physical environment. As an exact description, in the organisational perspective, it loosely refers to taking responsibility for the environmental impacts connected – either directly or indirectly – to operational activities. Economic and environmental sustainability are closely linked in many ways, and will become increasingly more so. Producing goods and services requires, to a greater or lesser degree, the use of natural resources – and thus comes attached with an environmental cost. Additionally, pollution results from the discharge of production inputs into the natural environment, and thus represents waste and inefficiency. All stakeholders need to focus in collaboration with each other to “Reuse, Reduce and Recycle” which will be ultimate mantra for giving the people of the world a better environment. After her talk, she answered the queries of the HCC members in a very clear and concise manner. Shubha has over 20 years of international and cross-functional experience in Indian Government, Law, HR, Human Rights and Supply Chain and has been with Coca-Cola since 2004.